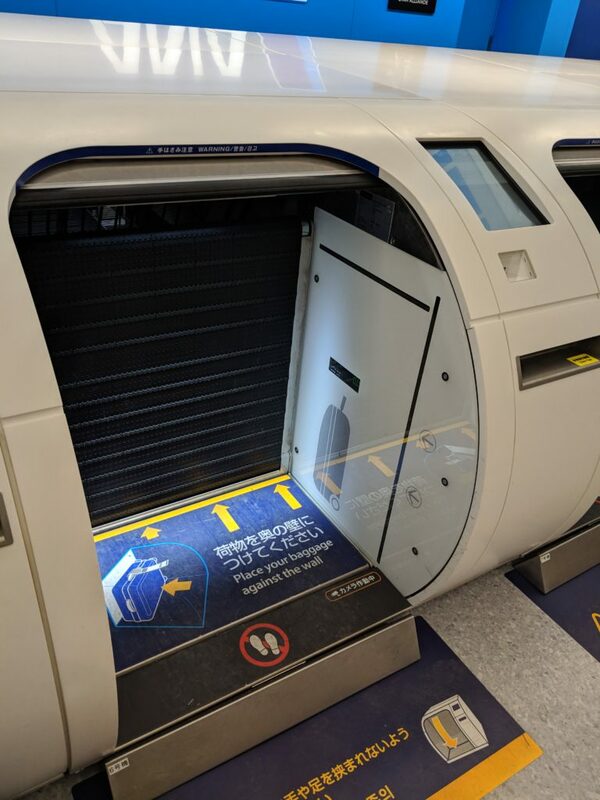 During a recent trip to Hokkaido, we had the change to try ANA’s high tech self-check bag check. It was actually pretty cool. You start by scanning your boarding pass from the kiosk or your phone. It then gives you a bag tag to add to the luggage. Once that is done you select “ok” on the screen. The machine then takes the bag, scans the tag, weighs the bag and pulls into the system to send it to the flight. Below is a video of the process.